The key to sticking to any new training or healthy eating plan is to make it a new habit. It will feel less like a chore and more like part of your new healthy lifestyle, plus you'll be in shape for your charity running event before you know it. By creating a new healthy habit and fitting it within your routine will hopefully ensure it will stick with you for life. Firstly, identify your bad habits and triggers. Whether it is a night on the couch with a big plate of snacks following a tough day at work, or a daily chocolate fix at 3pm- work out what and why. The best way to do this is simply write them down on a list of paper, and if you know it the number of calories next to it. The idea is to replace these bad habits with something better. Try having an apple or 10 almonds for example, instead of chocolate at 3pm. When you come home from work exhausted, instead of crashing out, get straight out for a run- surprisingly you will feel more energised and sleep better. 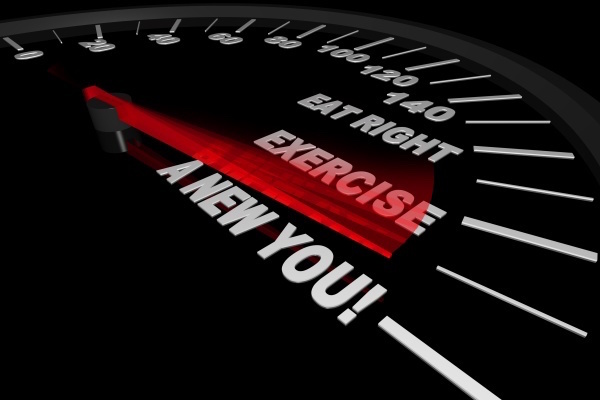 Most importantly, introduce changes to your old habits gradually, one at a time over a few weeks. This keeps it manageable and avoids feelings of total deprivation, which will help prevent you from slipping back into your old ways. Reward yourself, have a day off with a treat that you really enjoy once a week. You don't have to cut out vices or lazy days completely just keep them in proportion. Once a week is fine and you'll feel you have really deserved it. Lastly, but most importantly get into the right frame of mind. The extra mile is all between your ears - if it feels like a chore you won't want to do it. Visualise the goal you are aiming for and think: This will help me get to where I want to go. And what better goal could there be than crossing the finishing line of your running event having raised money for charity, making a difference to others? Good luck!